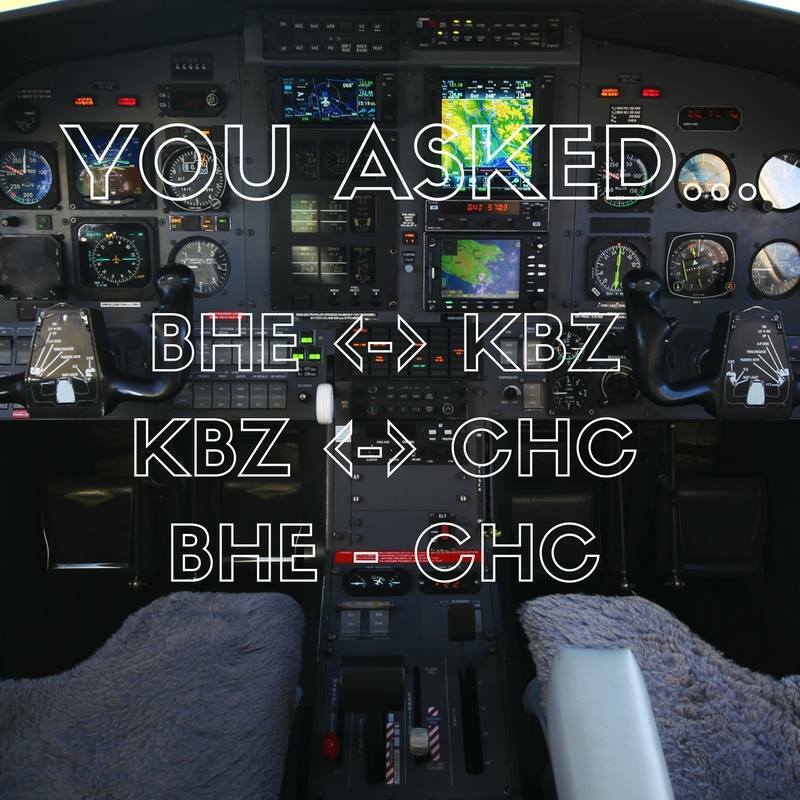 "The response to our Kaikoura flights has been epic!" reports Sounds Air's Facebook page. The airline continue to respond to the needs of people effected by the closure of State Highway 1 and has announced they are putting more flights on from Blenheim and Christchurch to Kaikoura from 9 to 22 December AND Boxing Day. The airline has also scheduled more direct flights between Blenheim and Christchurch from 23 December to 3 January (exc 31 Dec, 1 & 2 Jan). Flying between Palmerston North and Wellington this afternoon was CHATHAMS 580... nothing unusual in the callsign, but what was unusual was the aircraft was ex-Air Freight Convair ZK-KFL now painted all white. 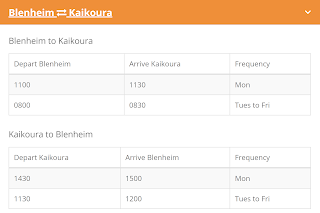 Flights from Marlborough airline Sounds Air were also in high demand, with the company almost fully booked for flights in and out of Kaikoura for the next two weeks. Managing director Andrew Crawford said the company was in talks to start shifting seafood out of the town, and was also delivering tonnes of mail and freight for New Zealand Post. He said they were in discussions to install navigational aids at Kaikoura Airport so Sounds Air planes would be able to land and take off in less conducive weather. "We'll keep the service open as long as demand is there and certainly as long as the road is out," he said. Wouldn't it make sense to talk to Sounds Air first??? Air New Zealand flights between Blenheim and Christchurch could be back on the cards after the Government announced it was planning talks with the airline. The office for Economic Development Minister Steven Joyce said on Wednesday the minister would discuss post-earthquake routes with Air New Zealand. "The minister intends to talk to both Sounds Air and Air New Zealand about routes between Christchurch, Kaikoura and Marlborough." 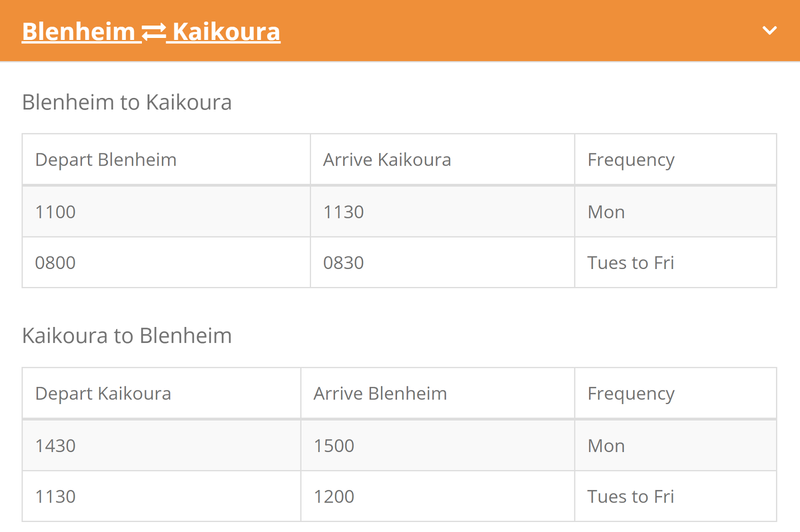 Sounds Air is currently the only airline flying Blenheim to Christchurch and Blenheim to Kaikoura routes, with Air New Zealand ending its Blenheim to Christchurch route in July due to lack of passenger demand. An ​Air NZ spokeswoman said on Wednesday the company had no plans to reinstate the route. However, this was before Joyce revealed his plans to have a sit-down with the airline. Air NZ did not respond to requests for comment on Thursday. ​Sounds Air managing director Andrew Crawford said the company was meeting demand in and out of Marlborough, running 30 extra flights since the earthquake last week. He did not know how much longer the extra flights would run for. "We're looking at adding another Blenheim to Christchurch one during the day," he said. The Sounds Air route from Blenheim to Kaikoura would not be permanent, but Crawford could see it there for quite a while because of the closure of State Highway 1 following the 7.8 magnitude earthquake on November 14. "We've got the capacity to keep running as long as required," Crawford said. Crawford said exactly how many passengers had been flown out of Marlborough was confidential, but it was "well in the hundreds". Destination Marlborough general manager Tracy Johnston said she was in talks with transport providers about getting people in and out of the Marlborough region. She declined to say if any arrangements had been put in place. Air NZ's rival Jetstar added four regional destinations in the past year; Napier, Nelson, New Plymouth and Palmerston North. A Jetstar representative could not be reached for comment. Whale watching from the air is set to resume, possibly as early as Tuesday, with tourists flown into earthquake-stricken Kaikoura from other centres. Only the four companies with whale watch permits can run the aerial tours, and feeder services from outside the area are allowing them to get going again. Sounds Air has begun running up to six flights a day into and out of Kaikoura, carrying 10 passengers a time. The earthquakes have not scared off Kaikoura's whales and flights to view the massive mammals are set to resume. The earthquakes have not scared off Kaikoura's whales and flights to view the massive mammals are set to resume. Chief executive Andrew Crawford said he had received calls from travel agents wanting to get tourists into Kaikoura so they could see the whales, as well as bookings from builders flying into the town and Kaikoura locals keen to leave. Christchurch and Blenheim airports had agreed to waive landing fees for three months which helped to keep fares down to $115 one way from Christchurch and $95 from Blenheim. Sounds Air would reassess the service after three weeks. "If there's demand, we'll keep going," Crawford said. Air Kaikoura manager Murray Hamilton has arranged to collect tourists in Hanmer Springs for a 15 minute flight to Kaikoura where they would land for a "cuppa" and a snack before heading out on a half hour whale watch tour. "We wanted to support local businesses," he said. Other companies - Wings Over Whales, Kaikoura Helicopters and South Pacific Whale Watch - are also prepared to take out any tourists able to arrange transport to the town which has been cut off by slips caused by last week's earthquake. Kaikoura Helicopters owner Chelsea Armstrong said she had also been contacted by Hapuku Lodge and Tree Houses about flying in guests. On its website, the up-market resort said it was looking at subsidising helicopter and small plane transfers for clients. Kaikoura is still effectively cut off with only residents of the Inland Road and essential vehicles permitted to drive from Waiau to Mt Lyford and beyond Whale Watch boss Kauahi Ngapora is calling on the Government to look at all other options if road access cannot be quickly re-established for visitors. That could include digging a new marina to support a ferry service from Wellington, Picton or Christchurch. Extending the grass airstrip to take charter planes carrying 50 passengers was another option, he said, and reports on upgrading the airport were done some years ago. Whale Watch, which employs 70 staff at this time of year, is not eligible for a Government support package offered to smaller businesses. "If the larger businesses can't be provided with financial support to get us through the tough bit, then we're asking the Government to do what it can to get us up and operating again so we have a fighting chance to go forward. "We have to have these discussions around key infrastructure to get the place moving again," Ngapora said. Hamilton said the airfield could not handle anything bigger than a 12-seater Cessna Caravan and he doubted the feasibility of extending it for larger planes. "We have a hill at one end and a whole heap of pine trees at the other end." Crawford said any extension would mean moving the terminal building. "I can't see that happening. It's not landing [that's the problem], it's getting out. It's a factor of length and weight." Arriving into Auckland from Sydney last night was VH-VWO, another Pilatus PC12 for Sounds Air... Their website suggests this may be registered as ZK-PLV. It will be interesting to see how it is used. Sounds Air has announced an air service to Kaikoura starting on Monday the 21st of November 2016. 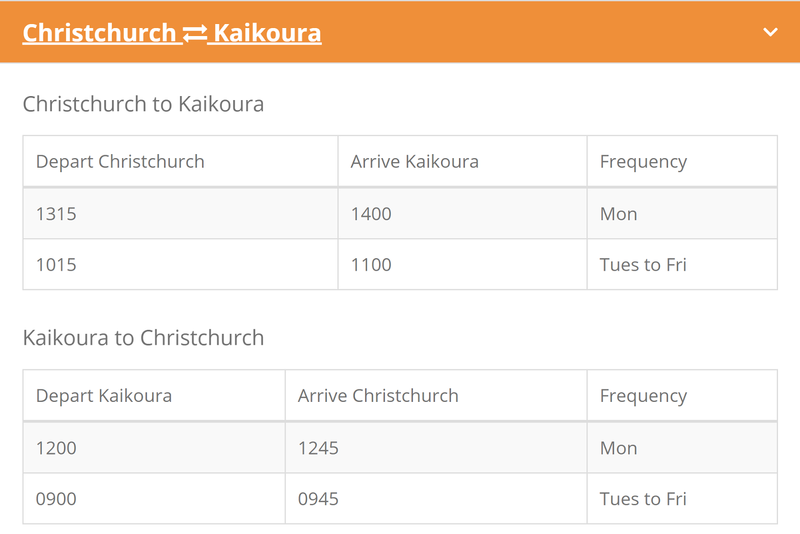 Flights will operate between Blenheim and Kaikoura at $ 95 a seat and between Christchurch and Kaikoura at $115 a seat. Flights will operate for a minimum of 3 weeks ensuring Kaikoura remains connected to the rest of the country. The flights will be operated by turbine powered Cessna Caravans and are weather dependent as part of the flight is operated under Visual Flight Rules. Well done Sounds Air for coming to Kaikoura's rescue! With the State Highway 1 through Kaikoura unlikely to be reopened for some time, especially to the north, perhaps it is timely to reinstate a Kaikoura-Wellington air service. Passing through Christchurch yesterday afternoon I spotted Sounds Air Grand Caravan ZK-SAW which operated in VFR... I wondered if it was people coming out of Kaikoura. 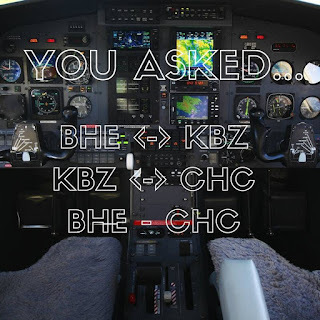 Pilatus PC12 ZK-PLS did the Blenheim service. Sounds Air operated two additional flights between Christchurch and Blenheim yesterday. Flights between the two centres seem to filling fast and I wonder how long it is before Sounds Air adds extra capacity to the route while SH 1 is closed. Arriving into Hokitika this morning, 15 November 2016, was Bombardier Q300 ZK-NER, my ride for my first of three sectors back to Hamilton.